Are you and your critters feeling a little cabin fever after the ice and snow storms that have hit Nashville? Well, do I have a good deal for you, while you get out of the house. Bailey's Downtown Nashville is partnering with the Nashville Humane Association on February 25th, when Bailey's will donate 10% of sales to the Nashville Humane Association. That is not all! If you go to Bailey's on February 25th between 6 pm- 9 pm, you will get to sample some of Bailey's specialty dishes including Greek hummus, drunken chicken tenders, tavern wings, Napa spinach salad, and Black Forest sliders. This deal gets even better, Bailey's is offering $2 draft beer, and $4 specialty drinks including Irish 'Rita, twisted bitter, strawberry blonde and MORE! VN Pho and Deli is located in a little strip mall, which is perpendicular to Charlotte Pike, rather than running parallel to Charlotte Pike. You can't see the VN sign while driving east on Charlotte Pike, but you can while driving west from White Bridge Road. If you are driving west from the White Bridge Road direction, VN is on the right hand side of Charlotte Pike, right before Charlotte Pike turns from 4 lanes to 2. VN is across the street (Charlotte Pike) from the shopping plaza with Lucky Bamboo, Kien Giang, the K&S Market and the big green Storage sign. VN is a little hard to find the first time there. VN Pho and Deli is a small Vietnamese restaurant, maybe 8-10 tables, and is owned by a really nice family originally from Vietnam, with a Southern Hospitality demeanor. I have become somewhat of a regular here. When I see friends in the areea, or shop in the Upper Charlotte Pike area, I usually stop in for lunch or dinner at VN. Because of their Southern Hospitality, I get greeted with the sweetest, "Hello Darling! How many are with you today?" I love being called Darling, it makes me feel special, and it causes me to smile :). Being a bit of a creature of habit, I have been getting the same things over and over at VN. I get the fresh spring rolls (not the fried ones), bun with charred pork and egg roll, and spicy pho. The fresh spring rolls come with a homemade peanut, coconut, hoisin dipping sauce which is delightful. The bun (rice noodles) #12 is my favorite. It is rice noodles over lettuce, and topped with pickled root veggies (carrot and daikon), egg roll and char-grilled (char siu) pork. The pork is marinated with a house made marinade, which I cannot decipher specifically. Most other restaurants in town who serve a char siu style pork, use a pre-packaged red flavor packet (fake chemical flavoring) to make marinate and make the pork. 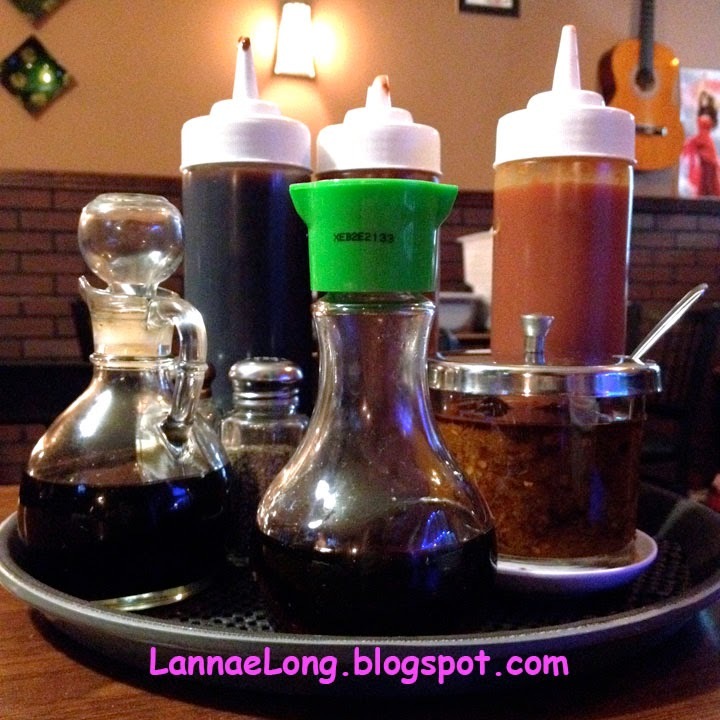 Not at VN, VN makes their own marinade, and makes the best char siu pork in this town (IMHO). And the spicy soup #13 is served with or without a pork foot. We order without. 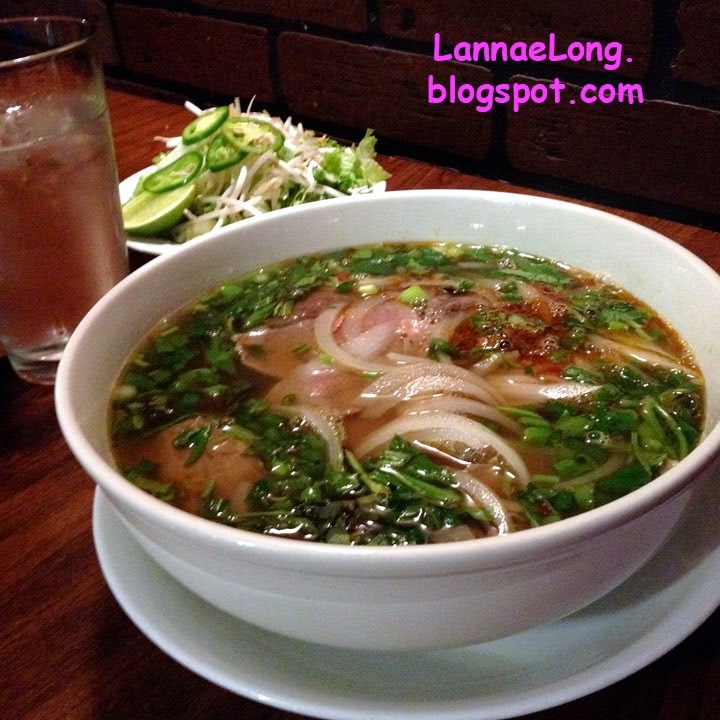 But, for those hipsters who are into "bone broth", this is the original Vietnamese style spicy bone broth soup. The broth is slowly made from bones and bits of meat on the bone, and cartilage that slowly lets go of its thickening and flavoring qualities to the broth. The broth has absolutely no fake flavor enhancers (unlike overly processed foods), so it is smooth and delicate. As I do sometimes, I want to add a little heat to my meal. Here, there is a house made chili oil made with oil steep lemongrass and cayenne, and it is outstanding, and I really cannot get enough of it. The chili oil sits on the condiment plate in little glass jar with a little spoon and silver cover on it. If you can take a little heat in your food, take a few drops of this chili oil with your meal. You will not regret it. 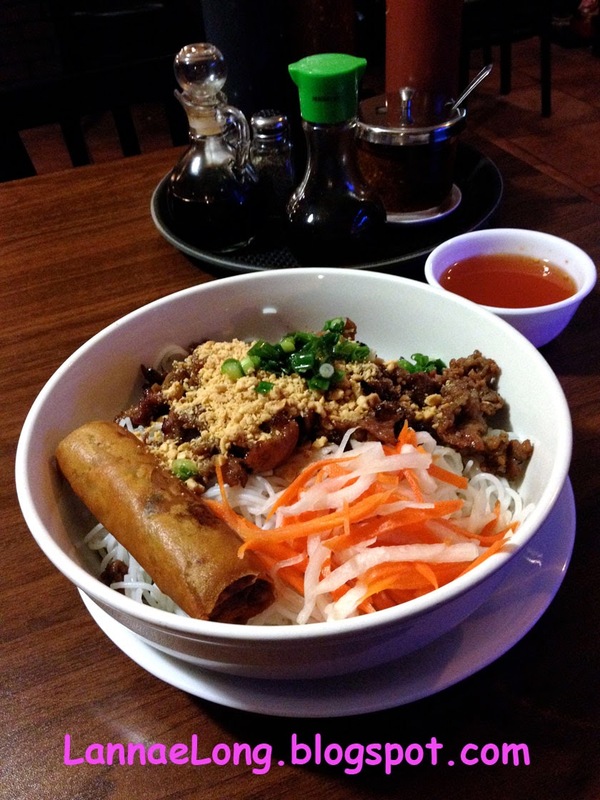 VN is open everyday for lunch and dinner, except Tuesdays. VN is open until 9 pm during the week, 8 pm Sundays. The kitchen closes a little before closing time, so I suggest for the late eaters, go at least 1/2 hour before closing time. So for Sunday, get there by 7:30 pm, and during the week get there by 8:30 pm.